We all know deep inside when we could do a little bit better but it is always easier to look at other people’s shortcomings than to look at our own. Daily frustrations, daily stressors and tremendous pressure can make you a bitter person. I have met some bitter people and it breaks my heart. They have given up and think they have no choice. They live life without joy and passion. It doesn’t have to be this way. You always have a choice. Always! 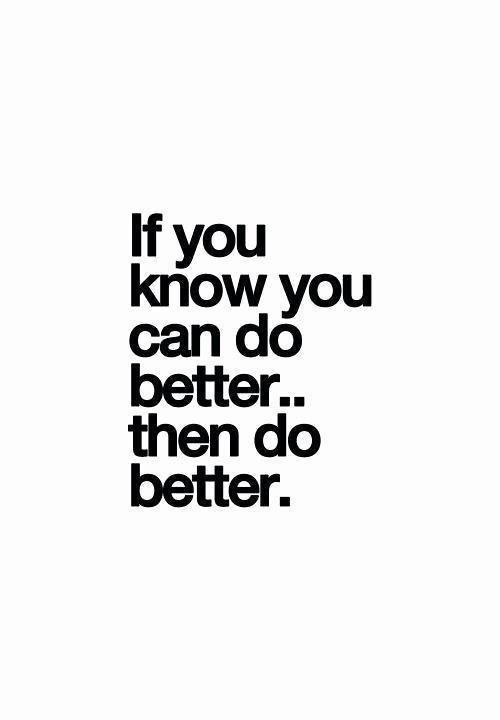 Strive to become better instead of bitter. You should do this for yourself and not for the people around you. Consider your impact on others – everything you say or do has a positive or negative impact on others. Do you make people happy when you enter the room or when you leave the room? Think before you speak – if you think first, you prevent saying something that may hurt another person. The impact this would have if more people would do that. Help others – even when you provide feedback you should come from a place of helpfulness (helping the person to become better instead of criticizing him/her). This will immediately make you a better person. I used to be a master in saying nasty things to others without wasting any thought on the impact this would have. I was not aware. I assure you that I am in your corner. I am human and far from perfect. If I can work on these things, I know that you can too.